Say your farewells, pizza lovers! In a year that saw a lot of restaurant closures, here's some more bad news: Project Pie is closing all but one of their Philippine locations. ÂOfficial announcement spotted at Parkway, Glorietta. 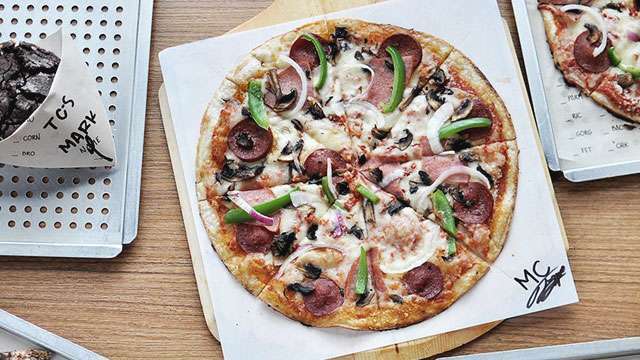 The U.S.-based pizza placeÂhas been in the Philippines since 2013, and became almost synonymous to DIY pizza. It was the perfect placeÂto flex your creativity with their range of sweet to savory toppings, sauces, cheeses, and more. The best part? Regardless of the number of toppings you piled on your dough, prices remained the same. It was novel when they first arrived on Philippines shores, and quickly won over many pizza fans. But there is a silver lining to the news: According to Project Pie's official announcement, "As our last hoorah, Project Pie Block28 in Alabang shall continue to operate and serve our guests." Still, we'll miss having DIY pizza almost everywhere.